In the last post I talked about characterisation. 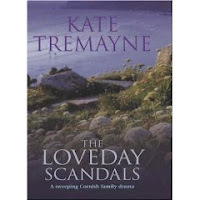 In this abridged extract from THE LOVEDAY SCANDALS I introduce Tamasine to the family who did not know of her existence. I picked a scene that showed something of her indomitable character and made her immediately memorable. Following the scandal surrounding St John's trial for murder in The Loveday Trials Edward has planned a harvest feast to put the scandal behind them. The nights alone on the road had been frightening. The excitement of Tamasine's journey had faded to become an ordeal and a battle against hunger and exhaustion. Her determination had kept her going. She would not arrive weak and broken. She would be strong and succeed. The idealism of youth and naivety bolstered her strength. She must be close to her goal. What if they did not welcome her? 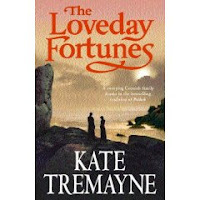 It had been presumptuous of her to assume that after one meeting Edward Loveday would open his home to her. Was it not more likely that he would have kept her identity a secret from his family? Senara glanced in Edward's direction and saw a dark-haired woman pushing her way through the crowd towards him. Her hair was tangled and flowing to her waist and her plain grey gown was smeared with dirt. She was pale and looked close to exhaustion. Edward's body was rigid with tension as he moved to intercept her approach. Before he could reach her, she stumbled and fell on her knees at his feet. 'I am sorry. I never meant to arrive like this.' Her voice was cultured, though tiredness slurred her words. She reached out to Edward, but he recoiled from her. Momentarily his composure deserted him and guilt was stark in his eyes. The expression rapidly vanished, replaced by a cold and lethal fury. Edward did not move and seemed incapable of speaking. 'Who are you?' Amelia demanded of the stranger. 'Tamasine... Tamasine Loveday...' Her eyes closed as she fainted. Senara had only ever known Edward to be completely in control of a situation, even when he was angry.The stiffness of his manner betrayed an inner fear that was puzzling. 'You have never mentioned a ward,' Amelia accused. 'What is it about this ward that you feared would upset me?' Amelia put a hand to her throat, suspicion narrowing her eyes. 'Good heavens, is the child yours, brother?' Elspeth gasped. Memorable characters are as important as plot. I can only emphasise how important it is to learn from our favourite authors. List the characters of your favourite novel. Then analyse each of them by their strengths, weaknesses any quirks in their personalities and most of all their motivation. Note how one is the foil for another. How the good are portrayed differently from the bad without resorting to stereotypes. How did the characters interact with each other? What caused the rivalry, friendship, romance, conflict or dissension? Take particular note how a character is introduced both by description and something of their personality. Never give a reader a wodge of information all in one go. The picture of them should be built up slowly so that the reader remembers what they look like and the driving force behind their personality. Key words reveal a great deal in description. eg. A stubborn tilt to an otherwise weak chin. A glitter of contempt in eyes which have never shown love. Pompous set of prim lips. The fastidious brushing down of clothing over a pot belly. Mannerisms also reveal a great deal about a character. And most of all remember that your characters will grow and change through the experiences prsented in your novel. You do not have to make a character lovable for them to be memorable they have to be believable.The self-centred Scarlet O'Hara was most memorable for her fighting spirit. No one is perfect and to err is to be human. It is how the characters deal with adversity and conflict that engage your reader's attention. Give each character key tags encompassing their personality. These were the key tags I had for some of the main characters in the Loveday series. 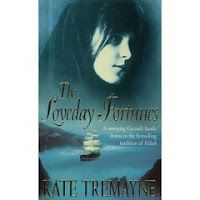 ADAM LOVEDAY was brave, loyal, passionate about shipbuilding but pride could be his downfall. ST JOHN LOVEDAY heir and a wastrel, self-centred and dissolute but valued the good opinion of others. JAPHET LOVEDAY lovable rogue, chancer, rakehell but fiercely loyal to his family despite his wild blood. MERIEL scheming fortune-huntress who tricked St John into marriage motivated by greed and to better her station in life. SENARA wise-woman, half-gypsy determined never to make Adam ashamed of her background. GWENDOLYN love for Japhet transforms the timid woman and she will travel half way round the world to stand by her man and prove his innocence. These are all the different covers both hardback and paperback for the Loveday series. Which is your favourite? 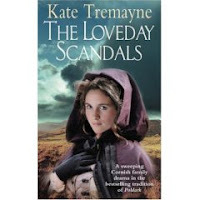 I have loved them all in their time and I am very excited about the new image for The Loveday Secrets paperback which was previewed earlies in the blog. 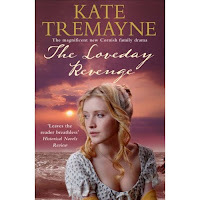 I also liked Revenge and both covers for Adam Loveday.